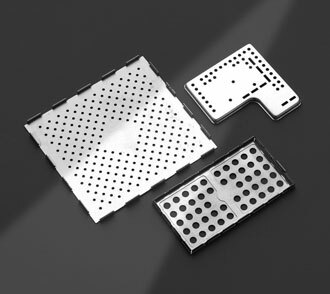 MAJR specializes in the design of custom shielding solutions, our Board Level Shields are manufactured specifically to meet each individual customers requirement. Using precision Photo Etching or Stamping techniques, MAJR can supply custom tailored solutions in a matter of weeks. This ‘custom’ approach is essential if functionality and the use of ‘real estate’ are to be optimized. Our experience enable MAJR to offer design assistance upfront which allows our customers to get the product they need without spending precious time working on Boad Level Shield designs in-house.